Rates of obesity continue to increase across America. In 2010, The American Medical Association reported that rates of adult obesity in men had risen 7.1% in a twenty year period and 8.1% for women during the same time frame. The State of Georgia Department of Public Health issued a report in 2010 that showed that 30% (approximately 2 million) of adult Georgians are obese. The Department of Public Health blames poor diet and exercise for contributing to this unfortunate national trend. Further, the department recognizes that obesity contributes to an increased risk for other medical conditions, such as stroke, diabetes, osteoarthritis, gall bladder disease and some cancers. The Social Security Administration (SSA) defines obesity as a chronic and complex disease characterized by excessive accumulation of body fat. 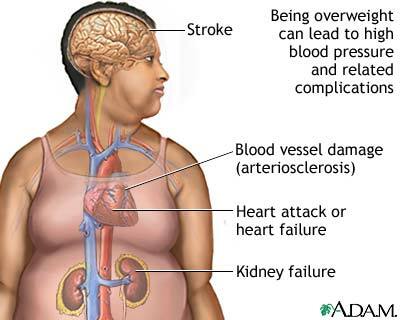 Obese adults are those with a Body Mass Index (BMI) of 30 to 39. Morbidly obese adults have a BMI of 40 or more. Overweight adults have a BMI of 25-29.9. As of 1999, SSA no longer considers obesity to be a Medical Listing of Impairment. If a claimant meets a medical listing, then benefits would be approved. When the Medical Listings were first enacted n the early 1950s, ninety percent of claims were approved at this level. However, without significant updating to the Listing, the number of claims that have been allowed at Step 3 has declined to 50%. Now SSA requires the decision-maker to consider obesity at steps 4 and 5 during the 5-step sequential evaluation process. Step 5: Consider whether there are jobs in the national economy the claimant can perform. The Step 4 process evaluates the claimant’s “residual functional capacity” or “RFC”. A claimant’s RFC is the most an individual can do on a sustained basis despite the limitations caused by his impairments. SSA regulations recognize that obesity is a medically determinable impairment when it significantly limits an individual’s physical functional capacity to perform basic work activities. However, negative views of obesity may affect the subjective decision-making that takes place at this level. For example, a decision-maker may believe that the claimant’s weight is remediable or should have been better controlled. Many ask whether we should give benefits to individuals because of an impairment that they arguably contributed to through poor choices about diet and exercise. The debate continues on whether obesity is a self-inflicted impairment or whether it is a result of factors outside the individual’s control. Even if obesity aggravates other conditions such as diabetes or heart disease, many would question whether one should be entitled to benefits by a self-inflicted condition that aggravates another condition. These viewpoints may affect the evaluation process. However, notwithstanding subjective views of decision-makers in the Social Security Disability process, the cause of the medical impairment (with two exceptions) cannot be considered. Presently, alcoholism and drug addiction have been specifically excluded from covered impairments. The legislative history suggests lawmakers were concerned that disability benefits were being used to buy drugs and alcohol to further the impairment. There is no exclusion for obesity from entitlement to benefits. However, statistical data does suggest that the obese claimant could be subject to bias in the certification process. Tagged: "Obesity in Social Security"